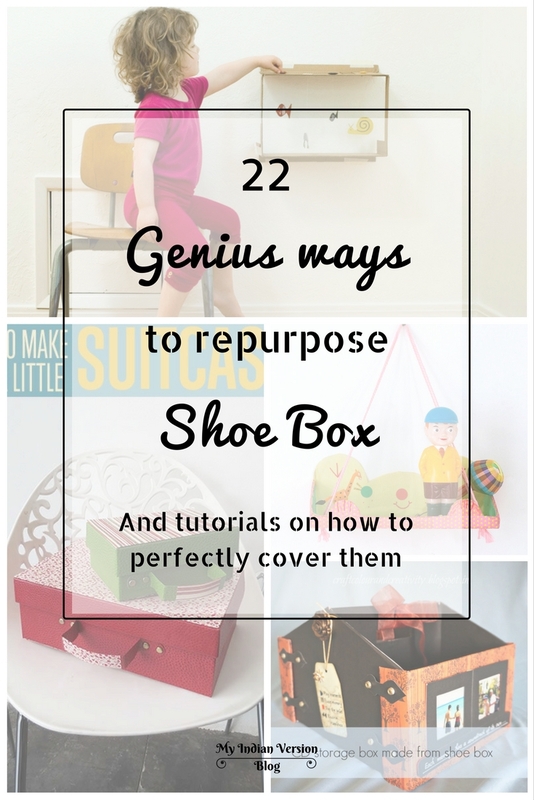 My Indian Version: 22 Genius Ways to Repurpose Shoebox! 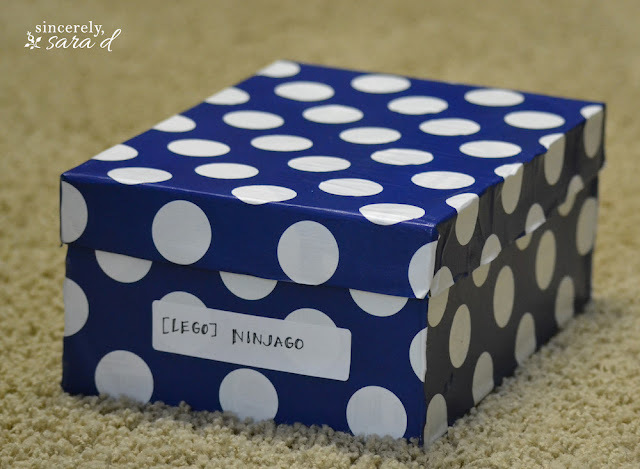 In every house there are shoeboxes. And you find them in all the different sizes - daddy size, mommy size, brother size, sister size and baby size! 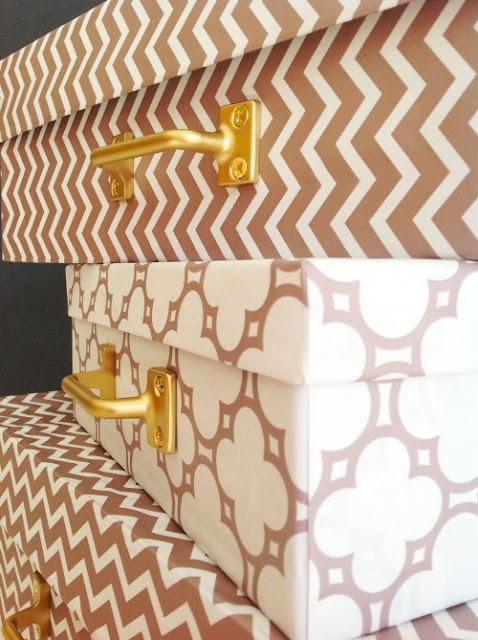 As a DIYer, we know these shoe boxes are great for different DIY projects to de-clutter home (and not just for making school supplies caddy and charging station). 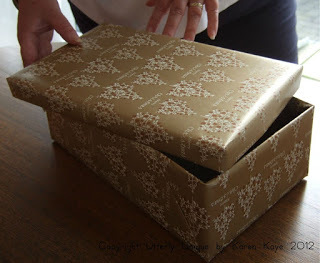 And a very special part tackling the big question of - perfectly covering the shoebox! Note : To view complete tutorial click the photo or the link above it. 1. 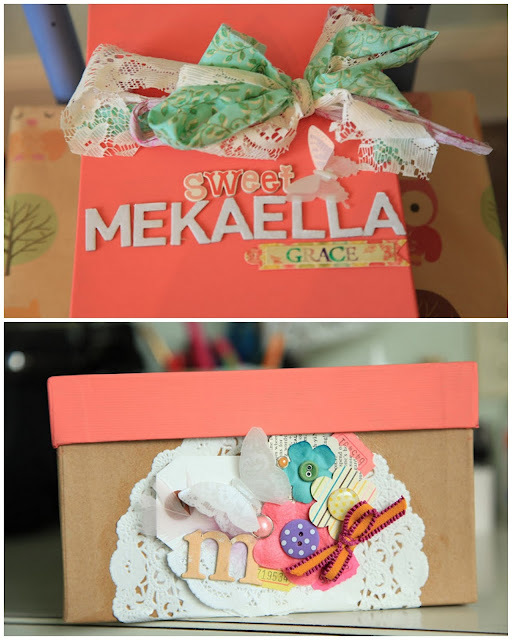 Olga designed a beautiful gift box from a shoebox which stood out among all other gift bags! Find it on her blog Vintage Pretty Pearl. 2. 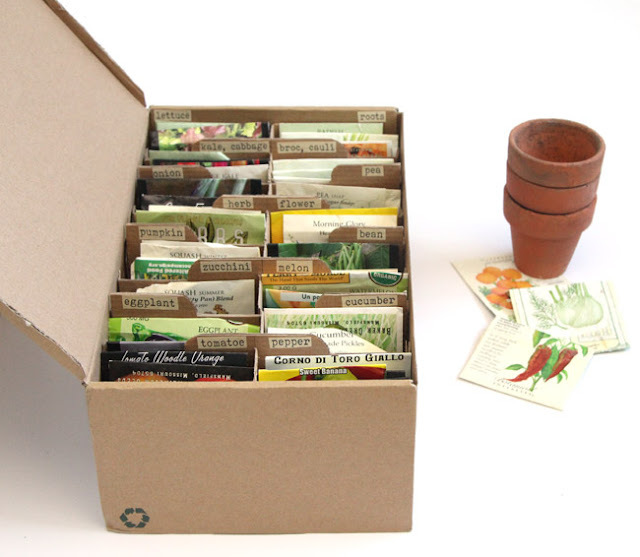 A convenient seed organizer is must have for any garden lover. Ananda shares it on her blog A Piece of Rainbow. 3. 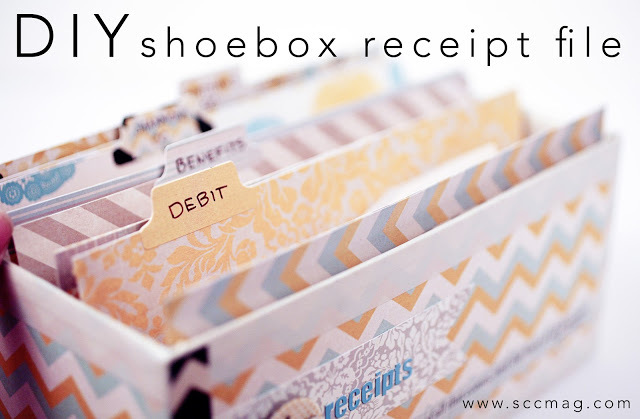 Shannon of Stich Craft Create blog revamped a shoebox to organize all her receipts! Clutter-free and compact. 4. 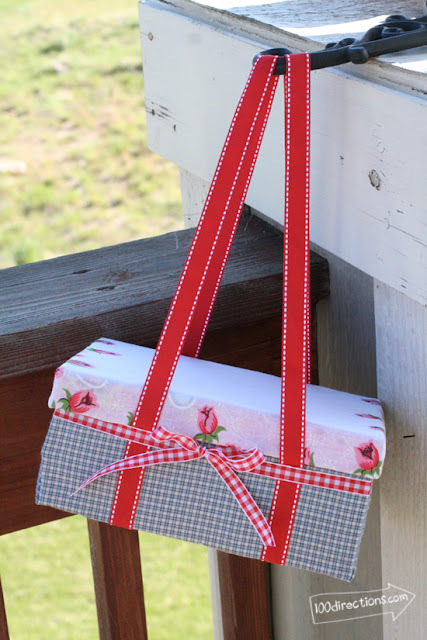 Jen of 100 Directions blog designed this beautiful picnic bag from a shoebox! 5. 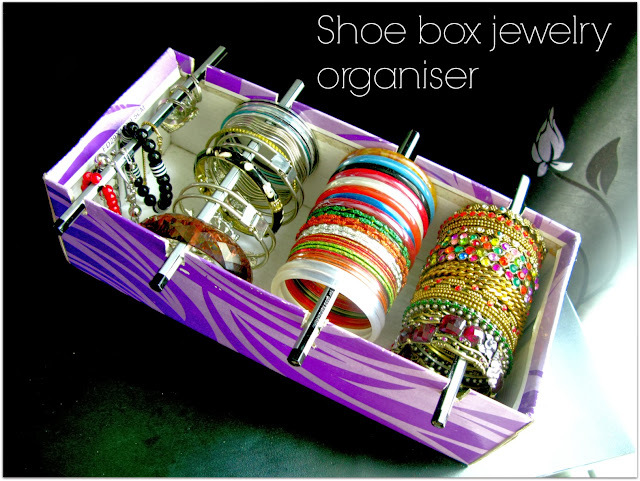 How about a bracelet / bangle organizer from shoebox? 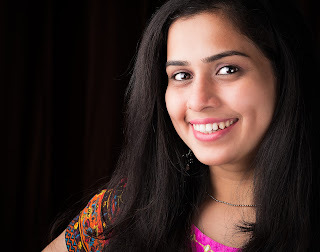 Parvathi shares it on her blog Alternate Creations. 6. 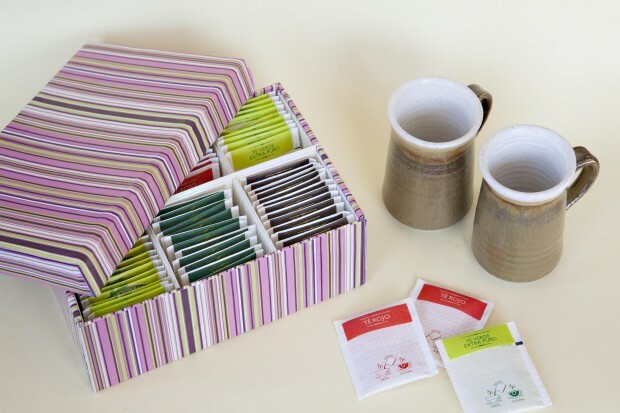 For all tea lovers here is a tea bag organizer on Por Cuatro Cuartos blog by Pilar. 7. Smart way to hide and organize your phone chargers and cables! 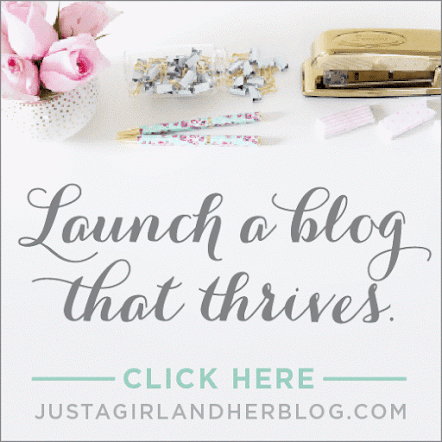 On Dark Room and Dearly blog by Brittany. 8. 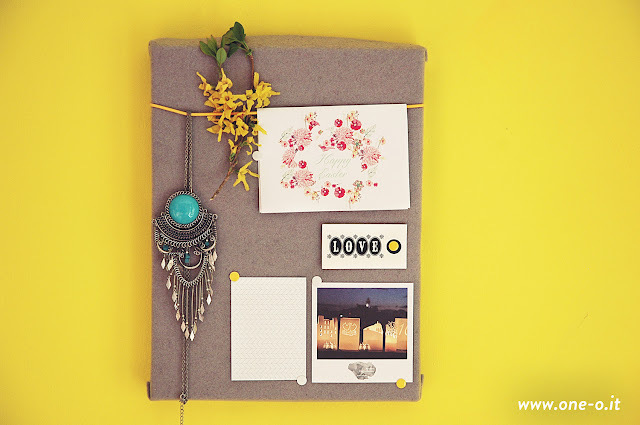 Chiara & Irene of One-O blog shares a DIY pin board from shoebox! 9. 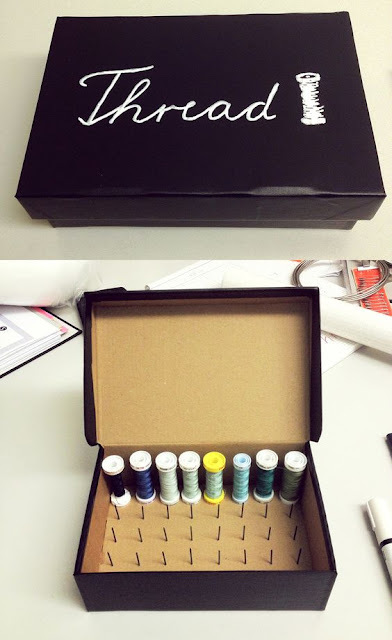 Nina of Mur Mur blog organized her thread spools just like that! 10. Decorative storage box by Sara of Sincerely Sara D.
11. 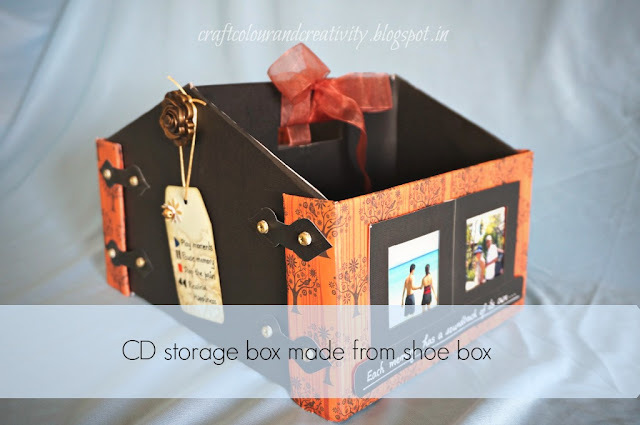 For CD lovers here is a beautiful CD organizer by Pooja of Craft Color and Creativity blog. 12. 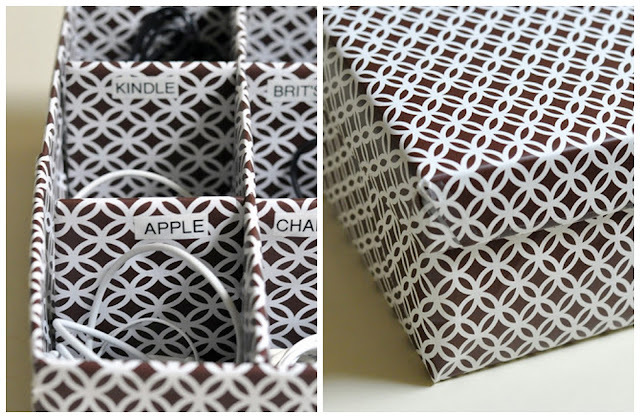 Buzzfeed shared the simple tutorial to create versatile organizer from a shoe box. 13. 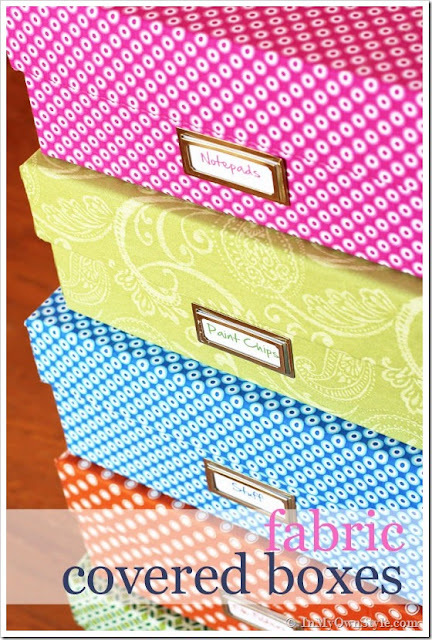 I Creative Ideas blog created a smart organizer for beads and buttons using the depth of shoebox. 14. 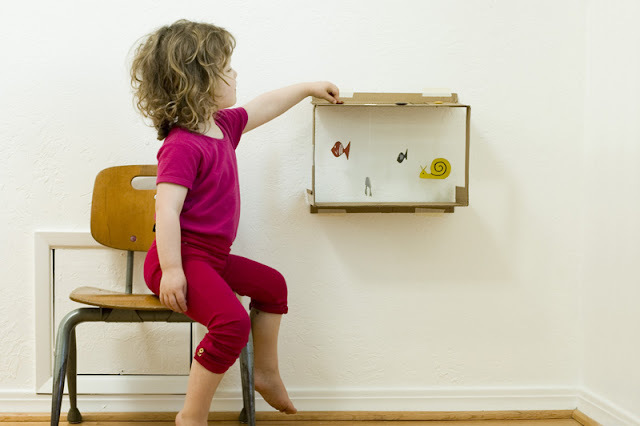 How about a hanging aquarium for your kiddo? 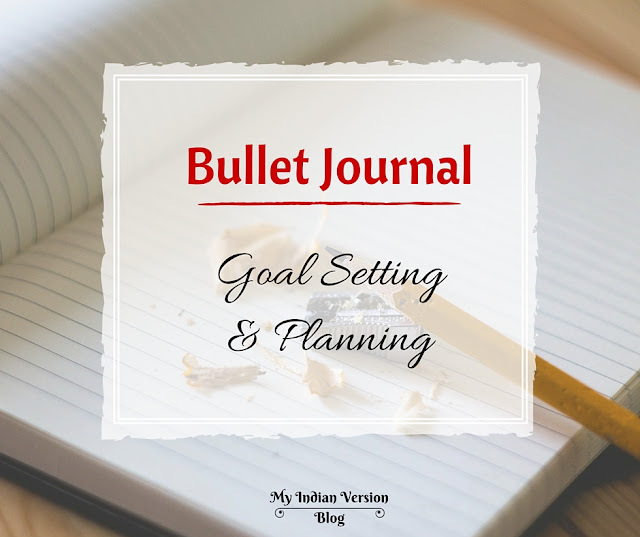 From Made By Joel blog by Joel. 15. 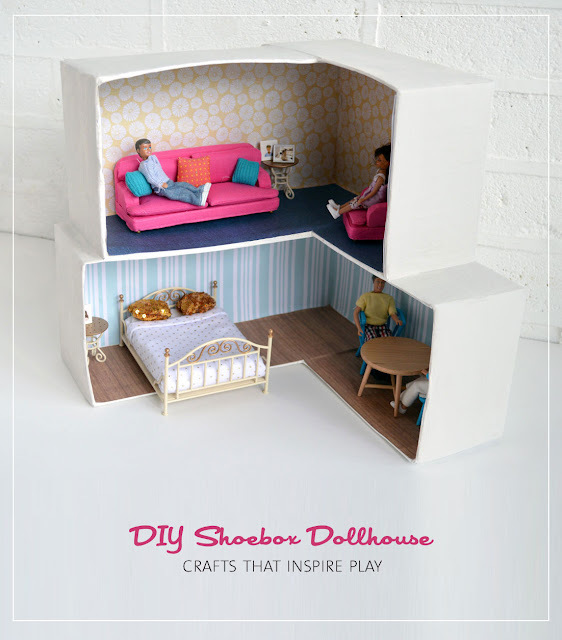 Your little girl will love to own this dollhouse shared by Michelle on Molly Moo blog. 16. 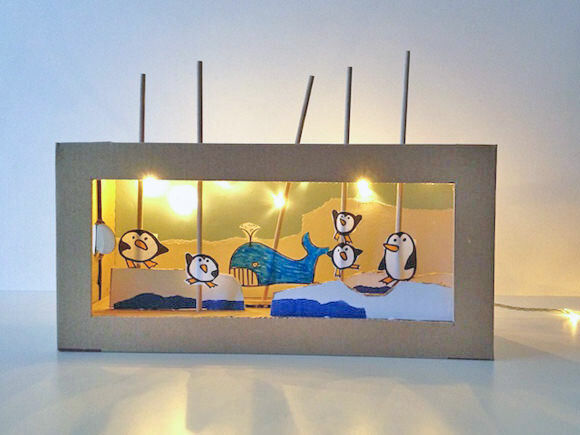 An eye pleaser DIY shoebox theater for kids. 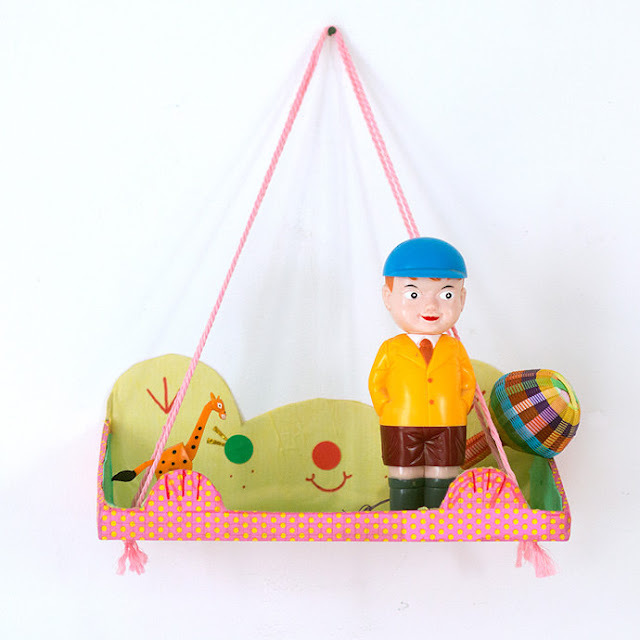 By Natalie of Handmade Charlotte. 18. 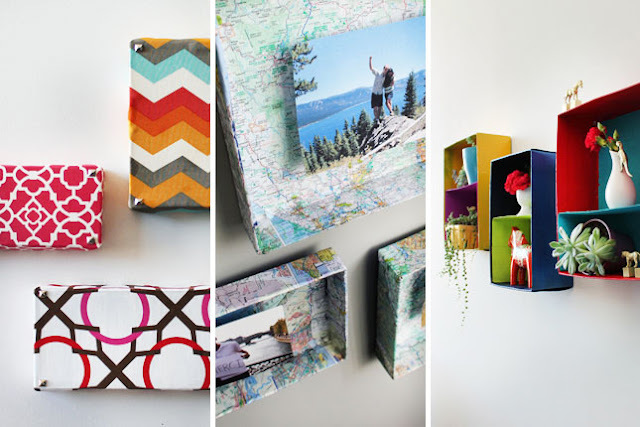 Eva from Handmade Charlotte blog turns shoebox lid into a hanging shelf! 19. 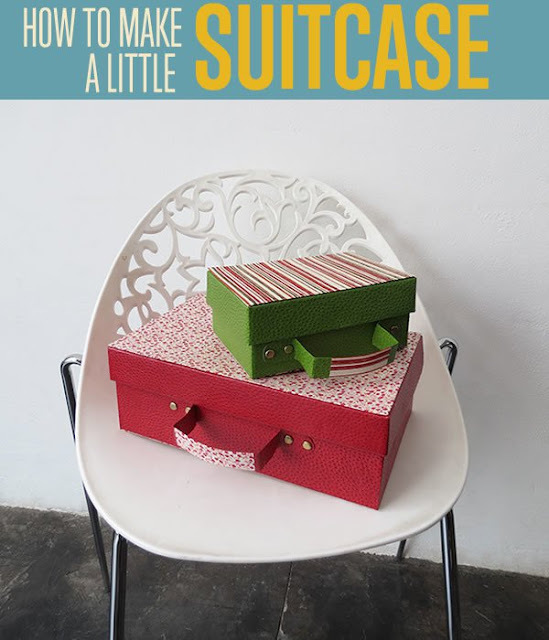 M.J includes this easy DIY project from shoeboxes in her Endless Summer Projects series on her blog Pars Caeli. 20. 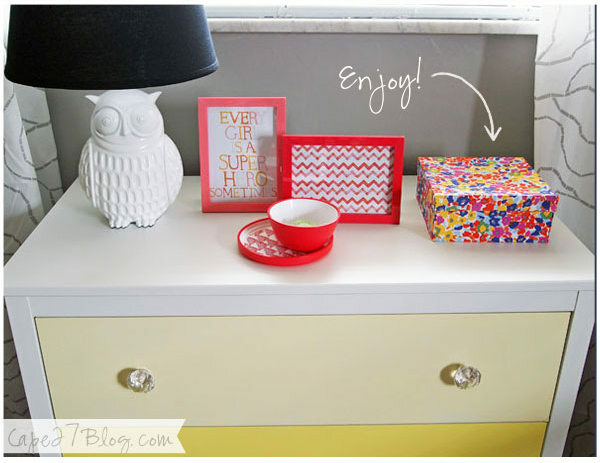 An all time favorite chevron pattern looks pretty on this shoebox wall decor. Shared by Sarah & Nick of The Surznick Common Room blog. 21. 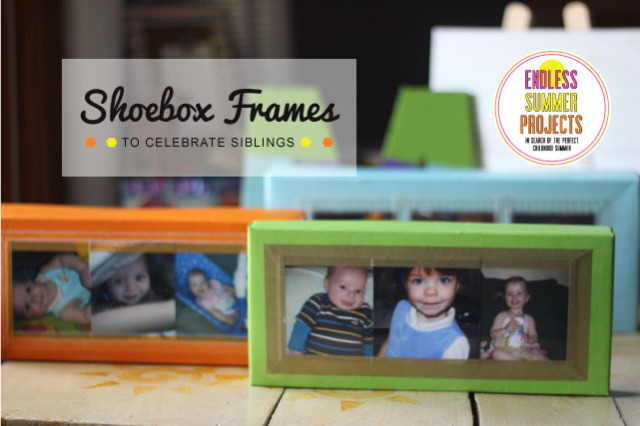 Lauren from Brit.co shows three different ways to create decorative wall frame from shoebox lids. 22. 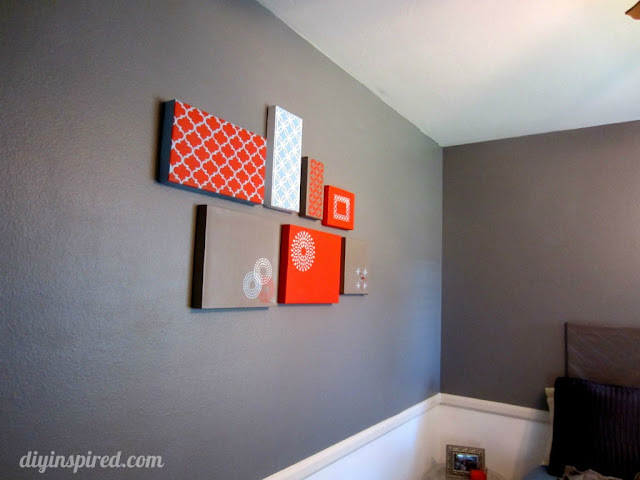 Dinah tries and shares an easy way to make this beautiful wall art, on DIY Inspired blog. 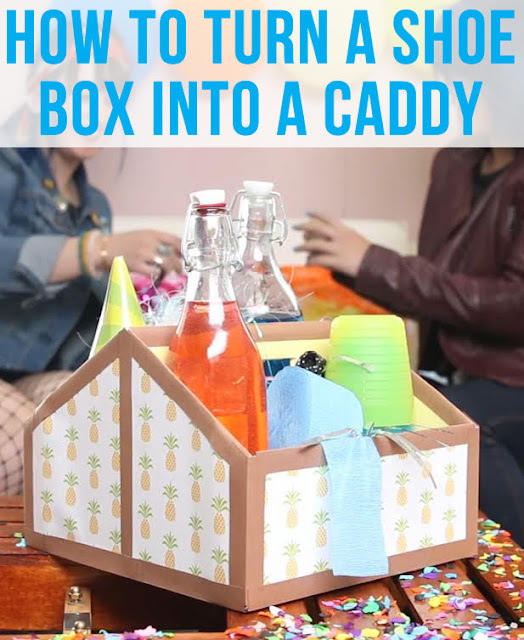 Here are five different tutorials to perfectly cover the shoebox for your DIY projects. All of them share different techniques so go through all of them and find your perfect fit! Is any creative idea jumping in your mind? Great! Then this list has served its purpose to feed your mind with new ideas for repurposing all those shoeboxes lying around. 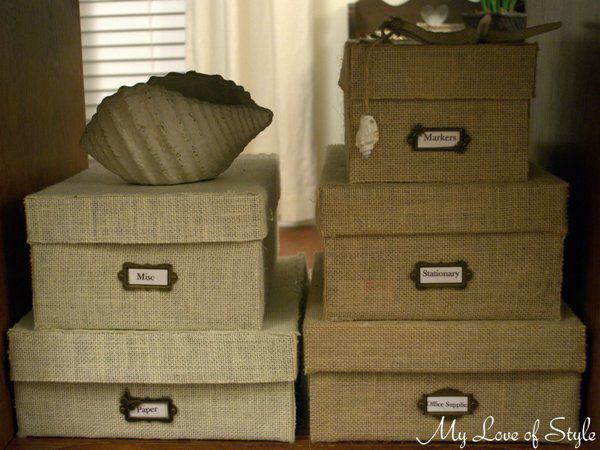 And if you have any other idea to repurpose shoebox, toss it in the comment below and inspire others too!